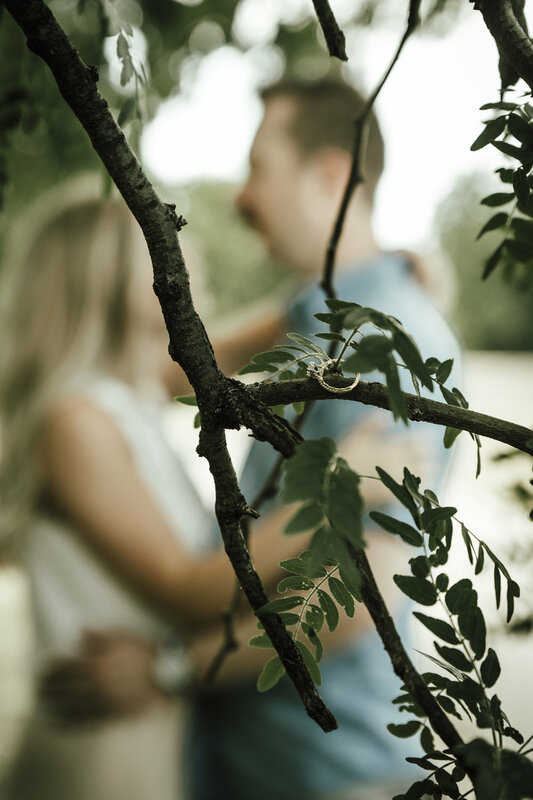 Alisa & Andy really chose some interesting locations for their engagement shoot. 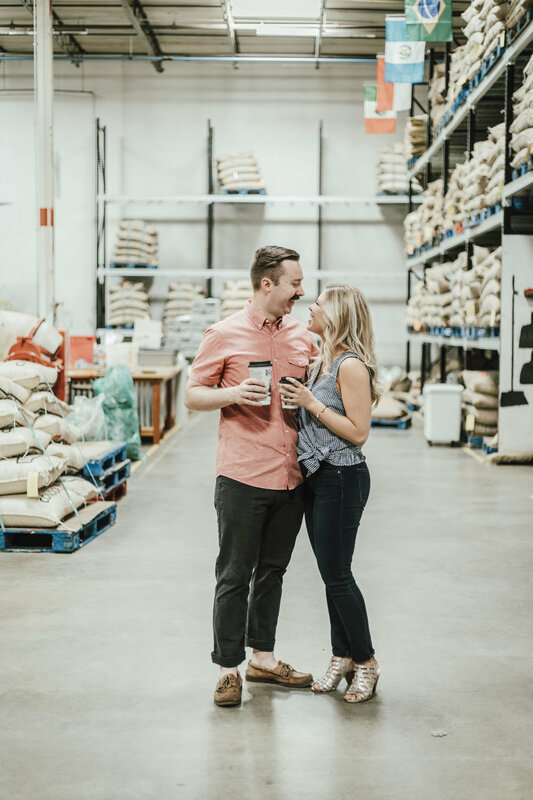 At their initial booking consultation they told me they wanted to take their engagement photos at the place where they went on their first date; it was a coffee date at The Roasterie. I didn't realize The Roasterie was so large, yet alone gave tours. 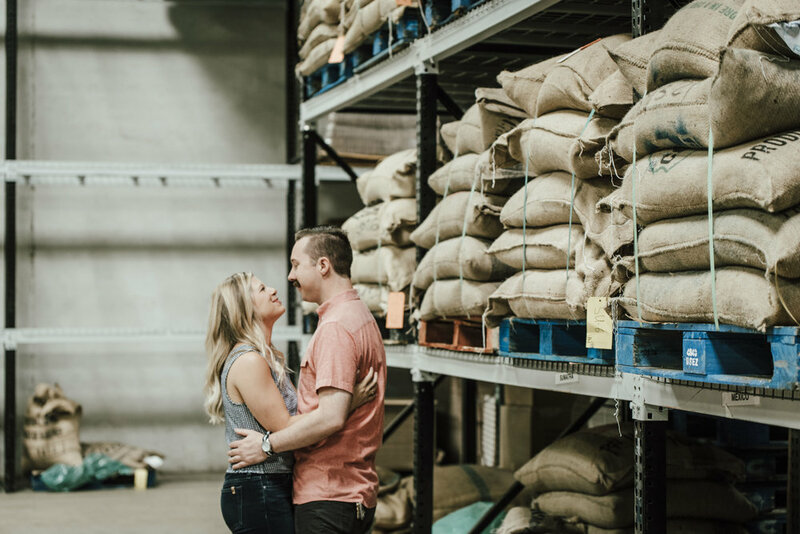 You can imagine my surprise when I was expecting a typical coffeehouse shoot but ended up shooting in a warehouse full of machinery and a lot of bags of coffee beans. Their second location was even more intriguing. The Scout Memorial in Penn Valley Park gave a refreshing not frequently seen view of the city. They also brought their adorable pup along, and we all know how I feel about dogs. 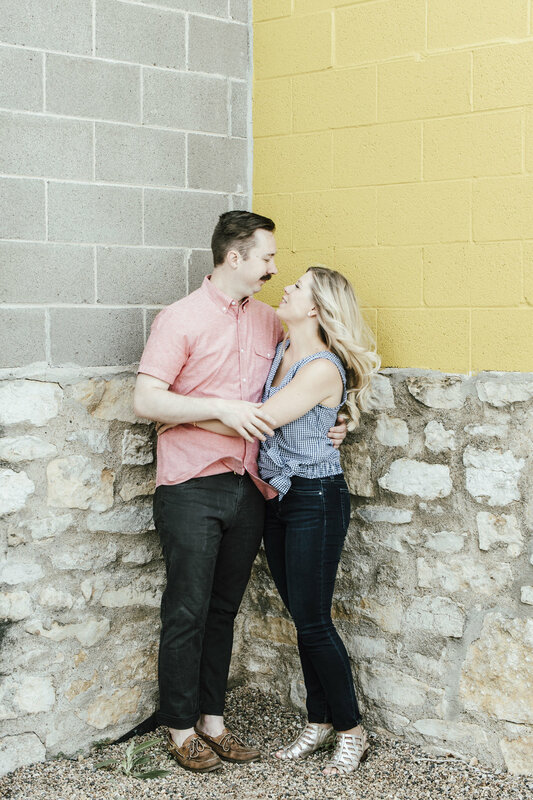 Getting to know these guys was so much fun, and I couldn't be more excited for their wedding day! !